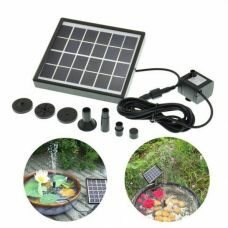 7V 1.12W Compact Size Solar Powered Water Pump Pond Fountain for Outdoor garden decoration Direct sunlight power supply Energy-efficient 1.12W Solar Panel Durable Design and Long Lifespan Suitable for small ponds fish tanks etc. Solar fountains come in a wide range of styles and sizes with no plumbing or external wiring required. 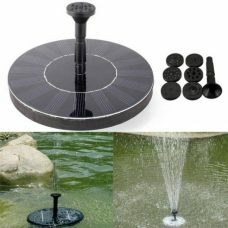 The water in the fountain is pumped from a reservoir or basin up to the top of the fountain with a pump that is connected to a solar panel. The best performance can be achieved when placing the water feature in a sunny spot, but they are versatile enough to fit almost any location. Some DIY garden fountains feature a battery backup that will charge during the day and then run the fountain at night or in cloudy conditions or LED lights for additional visual decoration. The installation process is easy, with no electrical wires or extension cords to worry about, making a solar powered fountain a great do-it-yourself (DIY) landscaping project. Solar water features also work great as a humidifier for a sunroom or enclosed patio. Outdoor fountains can be a beautiful accent to a garden or yard after dark. There are two special features of fountains with pumps: LEDlights and a battery backup. The solar powered water fountain with battery backup will store the sun energy all day long and then continue to operate even after sunset. These water features are magnificent for rainy days, climates or shady spots in the garden. Garden water fountains with LED lights create an even more dramatic effect after dark. 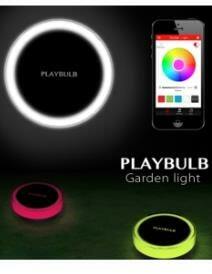 Special lighting effects in different colours illuminate the spray at no additional electricity cost. 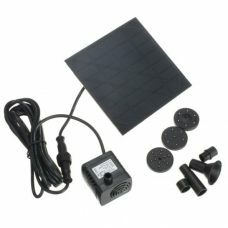 A floating solar water fountain rests on the surface of the water, creating a decorative spray with natural energy and a powerful, compact pump. Easy to install and to enjoy, garden floating fountains can be used in many ways for a variety of effects. Installation of a floating water feature is very quick and simple. Most of the main parts of a product kit are already assembled and only require few final touches like adding spray heads with different spray options and connecting tubes with each other. After that, just place this fountain with a pump in a pond or swimming pool under the sun and enjoy the soothing view and sounds. 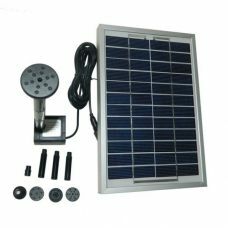 Where to buy the best solar water fountain with a pump in Australia with free delivery? 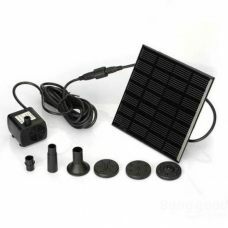 Sunny Bunny Australia offers an incredible range of DIY solar fountains with pumps for any environment whether it is a swimming pool, garden pond of bird bath reservoir. 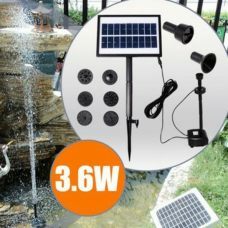 There are all types of fountains, water features and pumps with battery backup, direct solar powering and LED lights can be easily accessed online with a detailed description, quality photos and even customers reviews that help to make a right decision. 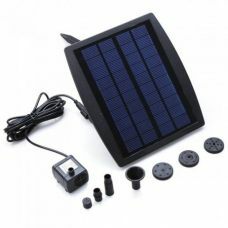 Before selecting solar powered water fountain to purchase, we recommend to assess all options carefully and read previous reviews left by other Australians. It is essential to keep in mind that all our featured products are available for purchasing online with entirely Free Delivery to any part of Australia or New Zealand.